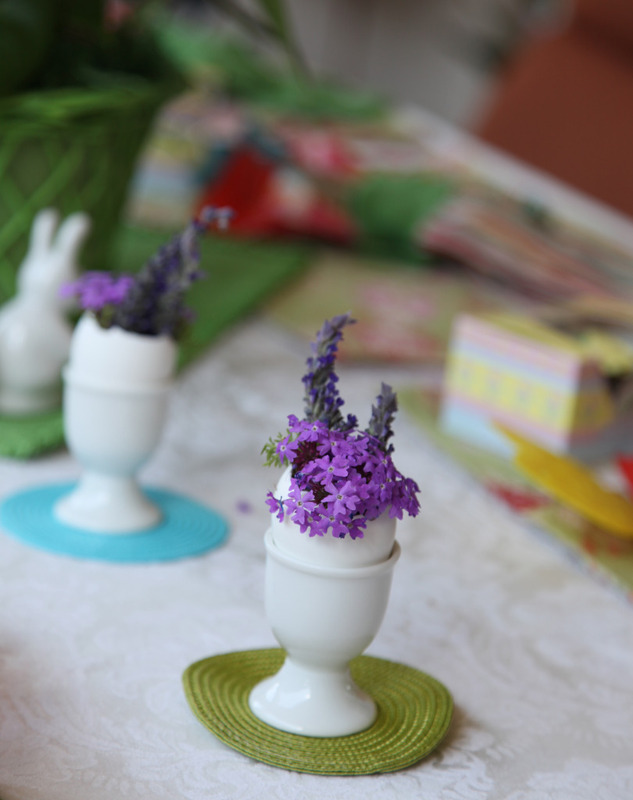 A Beautiful Outdoor Easter Table for A Big Group…Done Quick! Easter brunch brings a BIG group here at 3P, and with the guest list getting up towards 15-20 people…your table plan can change fast! 3P whipped up two outdoor tables, enough to fit all of our little bunnies for brunch without pulling the hair out of our own little rabbit tails. Improvising, fast favors, and easy florals made this big-time buffet-style brunch a super cinch to arrange. Topping each table with bright and beautiful florals + our DIY egg-shell vases (take a peek at how we made them HERE) grounded with green and blue coasters…kept our brunch-scape easy-breezy! Each Easter, Nana gifts us Sees Candy Eggs, which also made their appearance at each setting, doubling as name-cards. By layering spring colored placemats atop clean crisp white linens…we gave each guest’s place setting an anchor with a sense of spring. 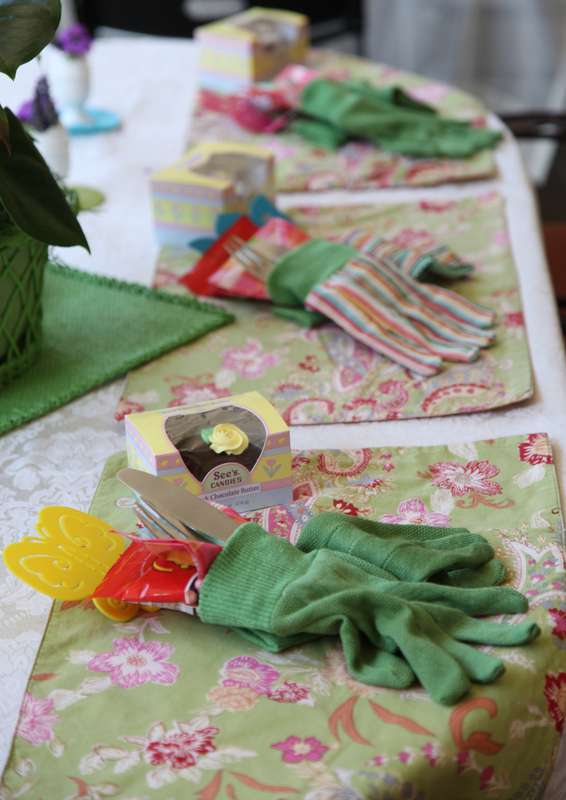 As a fast and fabulous favor…we filled gardening gloves found for a steal at the Dollar Store with Easter-y pancake flippers, and traditional jelly beans! 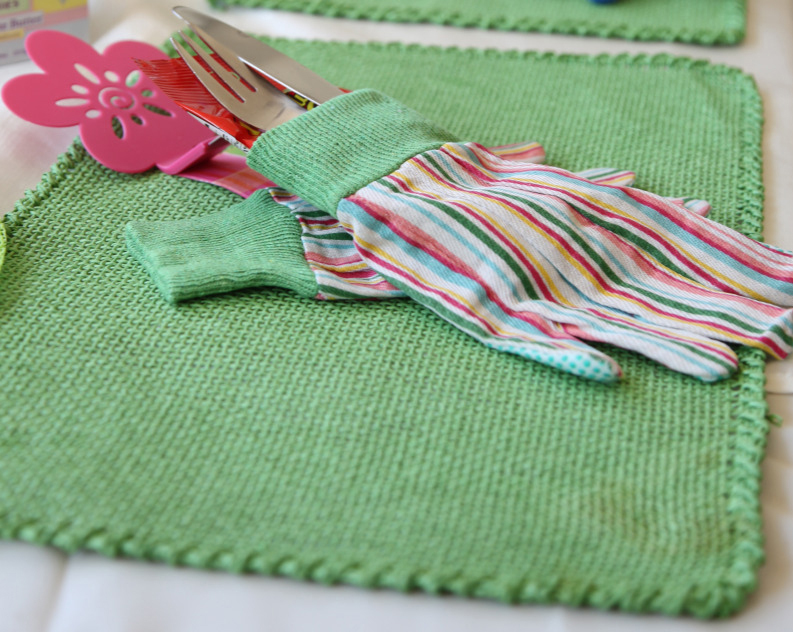 Adding our paper napkins and silverware to each pair of gloves made our favors functional AND fun. 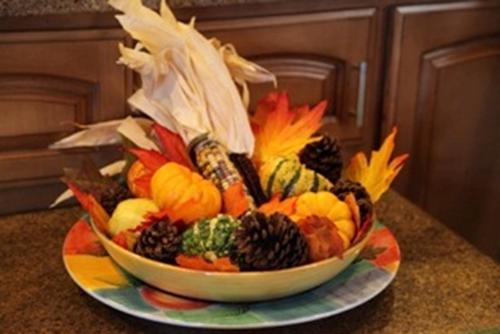 Drinks were served in the kitchen, and plates were ready at our brunch buffet…keeping our table free of clutter. 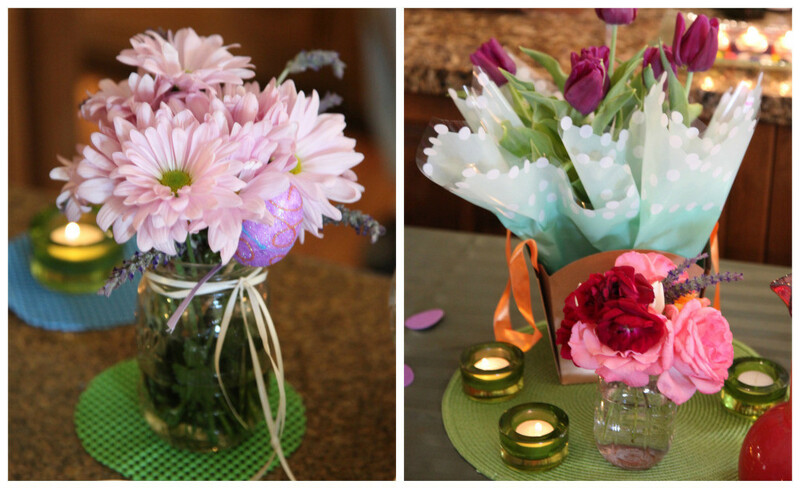 Fresh florals from the garden arranged in a mason jar added a pop of color, and a terrific gift of tulips we received added a springy feel with votives scattered around. Our big brunch was a big success and fantastic time spent with the family. Will you be dining outdoors this Easter (weather permitting)? What garden-fresh ideas have you got up your sleeve?